Galveston, Texas Criminal Defense Attorneys James Sullivan and Associates have over five decades of legal experience. They have a proven record of defending people from all walks of life, faiths and countries in courts in Galveston County and throughout the State of Texas. Galveston County Criminal Defense Lawyers James Sullivan and Associates have successfully fought the government in Jury Trials on behalf of clients on serious felony and misdemeanor cases. Galveston County Criminal Defense Attorney James Sullivan has a good reputation in the legal community and is humbled by fine lawyers who endorse him on AVVO. He is also very grateful for clients who write testimonials on his behalf. Most of his business comes from referrals from past clients and other lawyers, although it is not necessary to have a referral for him to defend you. Anyone can call James Sullivan to represent them. The law practice of James Sullivan and Associates is devoted solely to criminal and juvenile defense. 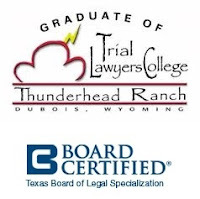 Galveston, Texas Criminal Defense Attorney James Sullivan is also Board Certified in Juvenile Law by the Texas Board of Legal Specialization. If we can be of any assistance, or you just want to talk about your situation, you can call Galveston County Criminal Defense Attorneys James Sullivan and Associates right now at (281) 546-6428. Galveston, Texas Criminal Defense Lawyers James Sullivan and Associates represent clients charged with crimes in State courts in Houston, Galveston, Richmond, Angleton, Conroe, Hempstead, Beaumont, San Antonio, Waco, Dallas, Ft. Worth, Tyler, Sherman, Del Rio, Corpus Christi, Brownsville, Mc Allen, El Paso and all counties in Texas. The law firm of James Sullivan and Associates is located in northwest Houston, Texas; however, Attorneys James Sullivan & Associates appear in all criminal and juvenile courts in Texas.